Chris is the Chief Executive of The Investment Association, a post he has held since September 2016. The Investment Association is the trade body that represents UK-based investment managers. He is a member of the Treasury’s Asset Management Taskforce, and was a founding member of its Financial Services Trade & Investment Board. He serves on the Foreign & Commonwealth’s Diplomatic Excellence Panel. 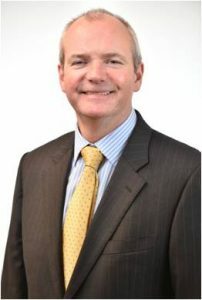 He is a member of the Financial Conduct Authority’s Regulatory Decisions Committee, a Settlement Decision Maker for the Payment Services Regulator, a former member of the Cass Business School’s Strategy Board and a Visiting Professor. He serves as a board member on EFAMA, the European trade association for investment management, and of IIFA, the international association for investment management. Before joining The Investment Association, he was the founding CEO of TheCityUK, held senior posts in banking, insurance and consulting with major global firms. He is a regular columnist, commentator and speaker on issues of international competitiveness and regulation in financial services.